Each year we took a couple of trips down to Niagara wineries to load up our annual wine supply. 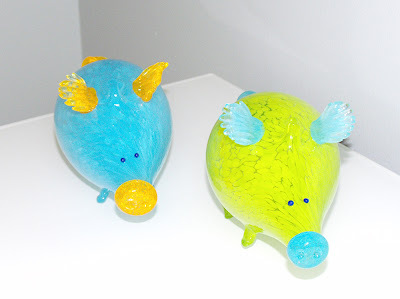 We also strolled down the streets in the village, and that's when I first came across these hand-made glass flying pigs. As I was debating how many (colors) to buy (so hard, love them all but not so much the $75 per price tag! ), I realized it was almost 4pm and we absolutely had to rush to the highway back home before we sat in traffic again. So I left empty-handed, and regretted that I didn't even take down who made them. Yesterday I spent half a day at a Spa that I frequent for the past eight years. Maybe the facial cleared up my sinuses (from ragweed pollen allergy), or maybe it was meant to be, I spotted these flying pigs from a fashion boutique that I must have passed by countless times outside of the spa. I couldn't let them go again so I picked up two. 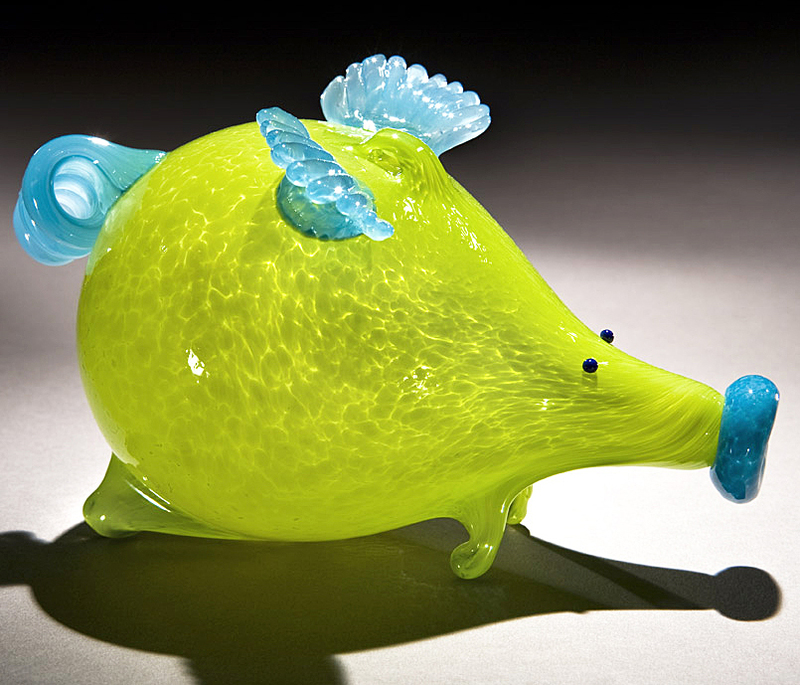 That's when I also found out every single of these glass flying pigs is kiln fired, mouth blown, hand shaped by Christina Mayr of Three Crow Glass from Saint-Michel-des-Saints of Quebec City. Each one is unique and signed by Christina. 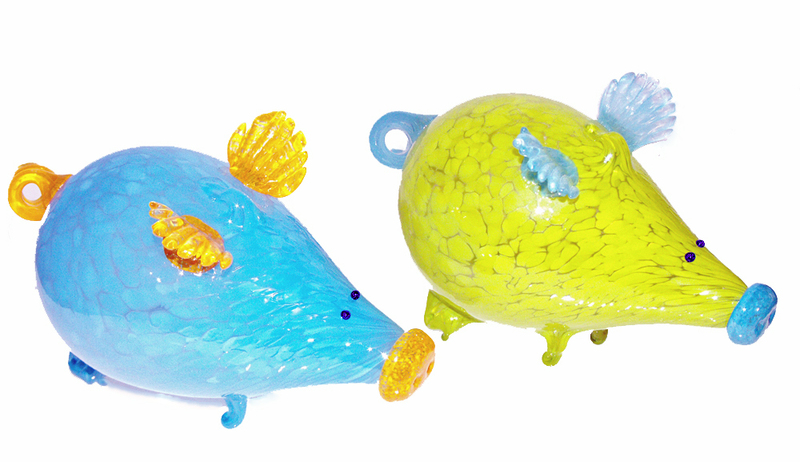 To live up to the "flying pig" name, each piece comes with a loop on the back, so you can actually hang them and they will "fly" like wind chimes. There are also unlimited color combinations to choose from. Aren't they adorable? They are new additions to my newly refreshed home office. I also scored these vintage glass display boxes from the same store. I used silicone chalking to seal the bottom so they are now ready for my beach-themed displays.